52 years ago, during a firey time in the United States and around the world, Dr. Martin Luther King Jr. made a controversial visit to this very town, possibly at the peak of his notoriety. Just two years prior to his assassination and untimely death, King arrived in Montclair, making town history by stopping into the Montclair High School band room. This often untold story starts with King’s childhood. During those summers, he would spend time with family in Paterson, New Jersey. While in Paterson, King found a mentor in a Baptist minister, Reverend Rice, who took the future preacher and civil rights leader under his wing. Fast forward to 1966. That same minister was retiring from his congregation in–you guessed it– Montclair. Dr. King was invited to speak at the ceremony commemorating the reverend’s retirement. Due to the overwhelming number of people that wanted to attend Dr. King’s address, it became apparent that it would be nearly impossible to hold the ceremony in Reverend Rice’s church. In need of a venue, the Montclair High School auditorium was soon named as the location. In 1966, when segregation and polarization plagued the country, the announcement of this change in location caused a public outcry among Montclair’s white residents, angry that the church was using public property for the event. This prompted the municipality to order the church to take back half of the tickets already promised to the congregation. Despite the racial tension in the town, Dr. Martin Luther King went ahead with the speaking engagement. On September 11, 1966, Dr. Martin Luther King Jr. used this opportunity of strain on the community to impart wisdom on Montclair’s residents. 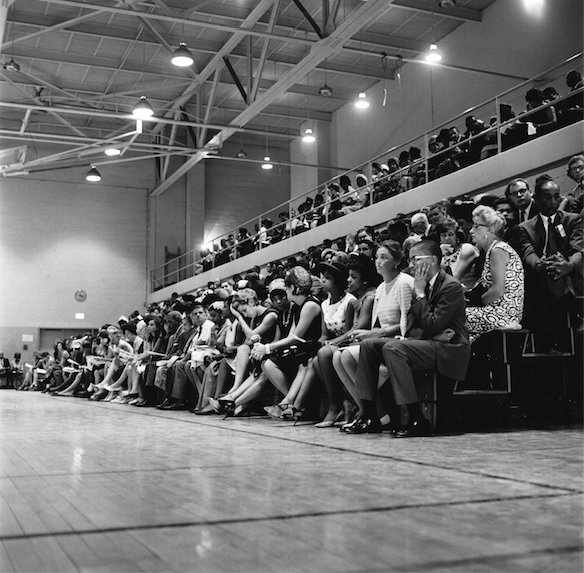 On the day of the event, Dr. King first spoke in the brand new Montclair High School gymnasium, to the mostly white audience that had demanded the ability to attend. During the address, Dr. King spoke about the atrocities of school segregation and the “separate but equal policy,” addressing many parents of white children, while standing in a newly renovated school. Meanwhile, the schools designated for African American students were without the proper materials and physically falling apart. The hypocrisy was palpable. Following this speech, Dr. King was to eventually speak to the church congregation in the auditorium, as planned. 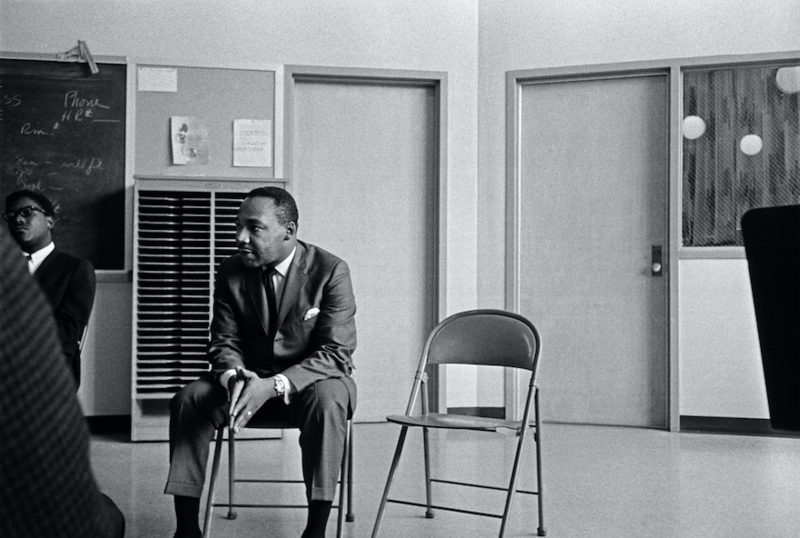 However, before the congregants had filed into the venue, Dr. King was kept in the Montclair High band room, captured by the now famous photo. 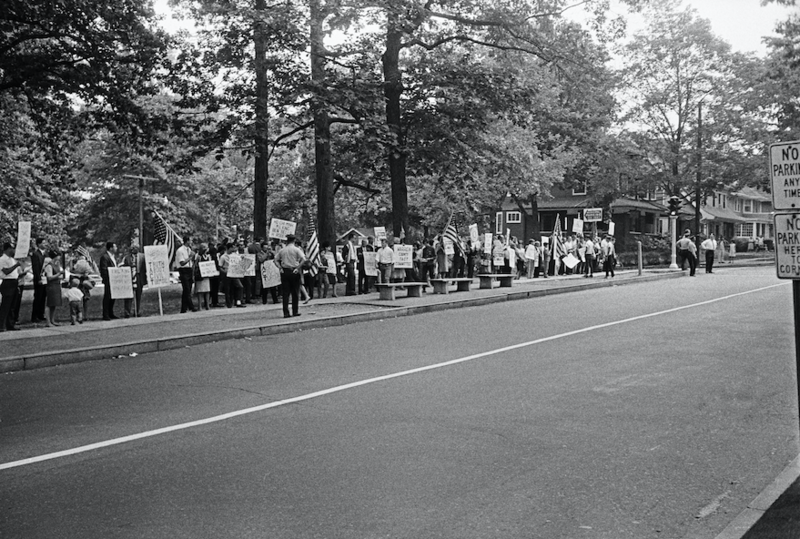 As he is sitting and waiting to move on to the planned speaking engagement, protesters lined Park Street, deeply angered by Dr. King’s presence in Montclair. 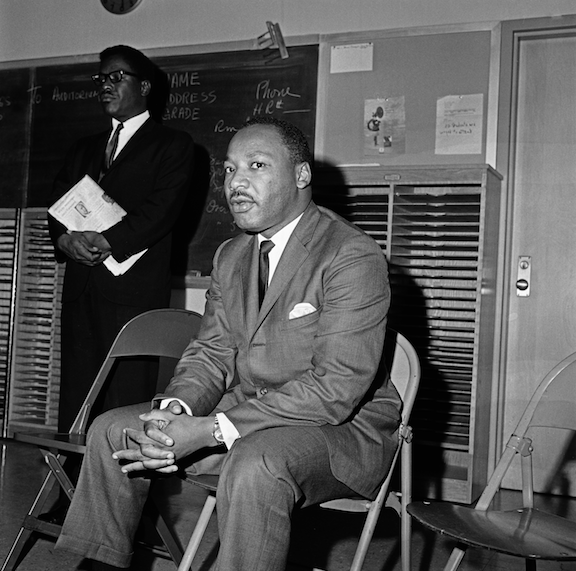 Due to the windows that line the East side of the band room, Dr. King was able to watch the protest unfold before him. 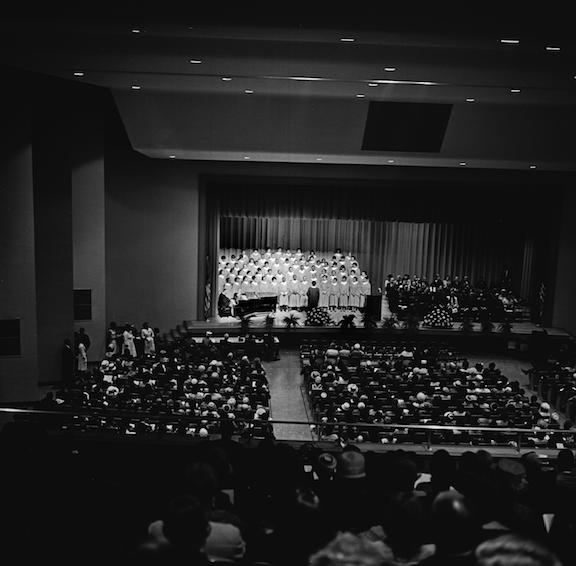 But, after a few minutes spent in the music room, and months of commotion, Dr. King was finally able to speak to the church congregation, the reason for his Montclair arrival in the first place. Now, over 50 years later, Dr. King’s Montclair High School moment has been honored with a plaque, placed in the band room. The Montclair Dispatch spoke with various Montclair High School alumni and faculty about this hidden gem of Montclair history. “I was genuinely surprised upon hearing that Dr. King spoke at MHS. I’m excited and proud that we can now share this history with our students and the community,” says Thomas Manos, Social Studies Lead Teacher for the Civics and Government Institute (CGI) at MHS. At the time of Dr. King’s speaking engagement, Stan White was a sophomore at MHS. Mr. White is currently President of the Dr. Martin Luther King Jr. Scholarship Fund and a lifelong Montclair resident. Montclair is full of history–both hopeful, and at times shameful. But this event, in particular, might have served as a wake-up call for the town of Montclair, its system of educational segregation by race, and for a newfound social and moral awareness. But the moment of Dr. King’s visit to Montclair High School should be revered and taught, as it marks an incredible point in history. “Our lives begin to end the day we become silent about things that matter”- Dr. Martin Luther King Jr.